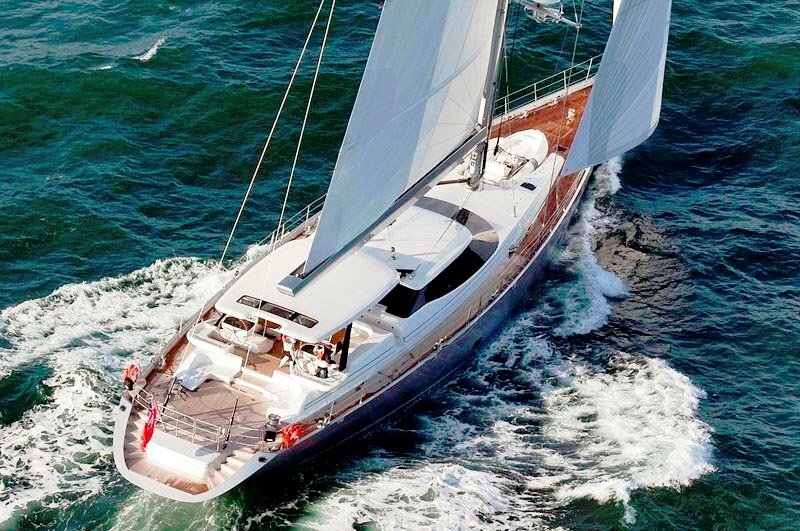 Sailing Yacht VALQUEST is a Dubois (UK) designed Bloemsma & Van Breemen (Dutch) built sloop which was launched in 2010. 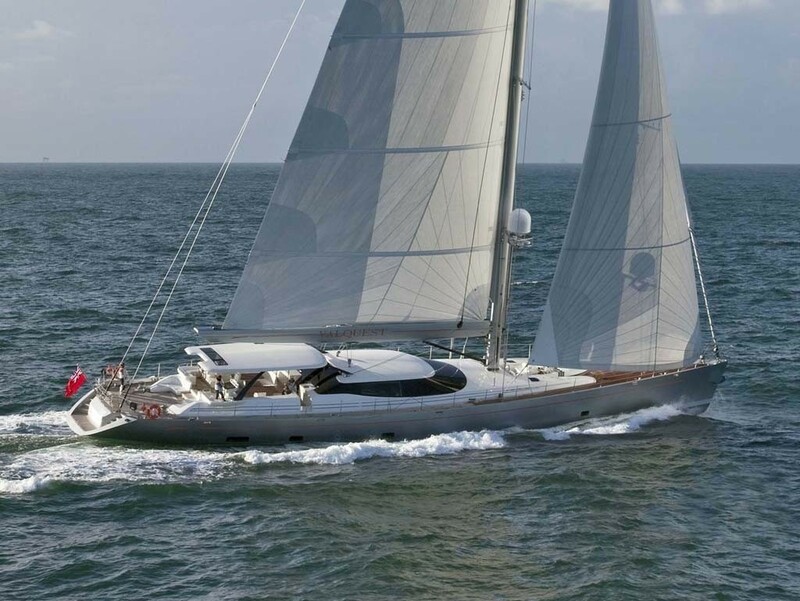 She is 134 feet (40m) in length, is constructed from aluminium, and sports a light silver metallic hull with a high gloss mahogany and white leather finish inside. 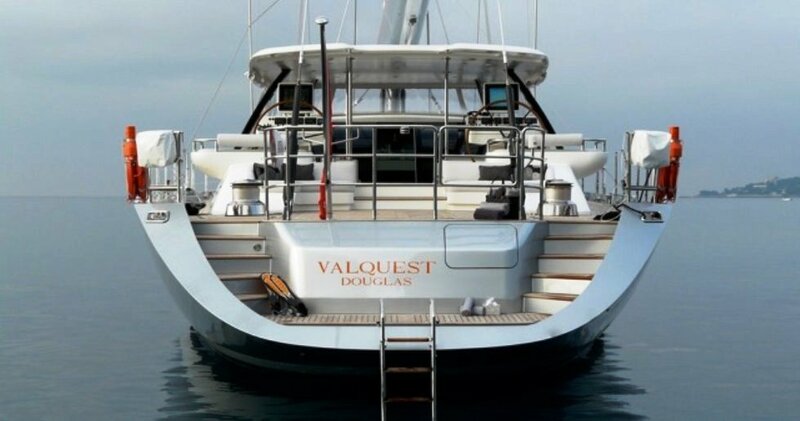 An ideal charter yacht, VALQUEST is a quality superyacht which was designed and built by some of the most respected names in the yachting industry. 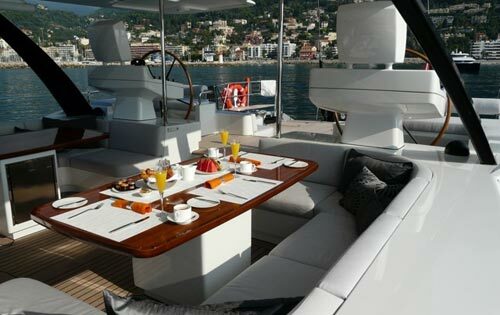 The Dubois designed fast cruising sloop VALQUEST has contemporary sleek lines, a near pub bow, a low profile deck house to take in the views, and an uncluttered and simple deck layout to aft and forward. 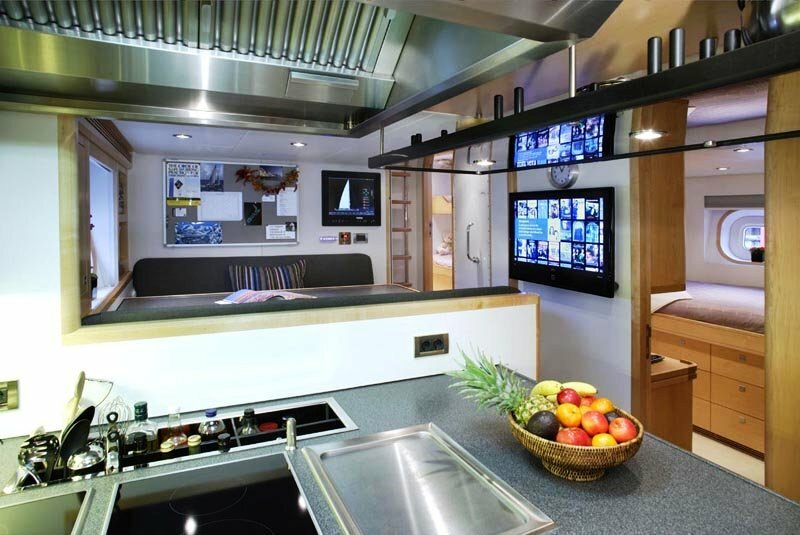 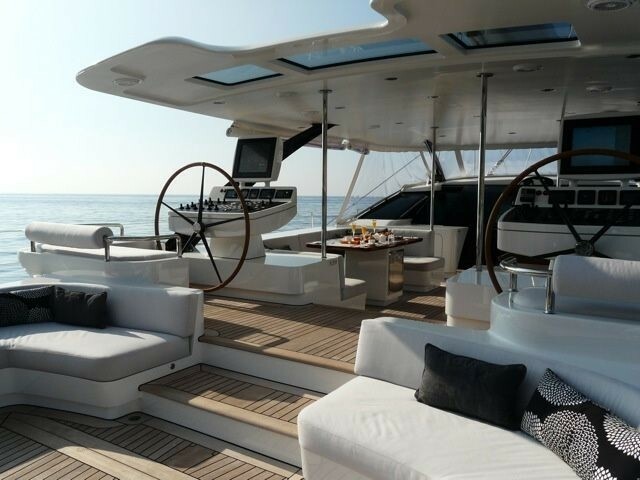 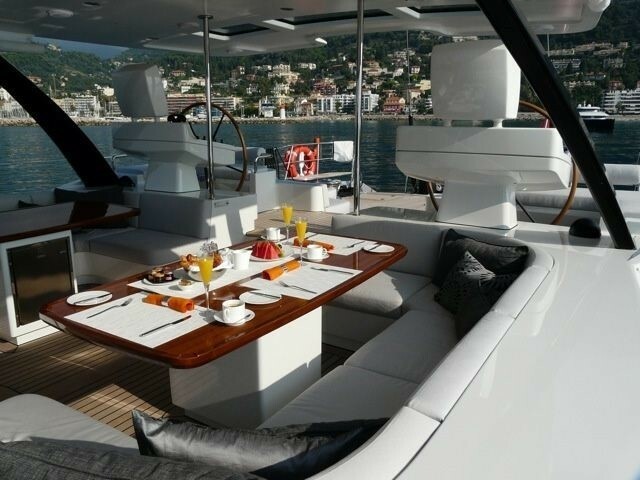 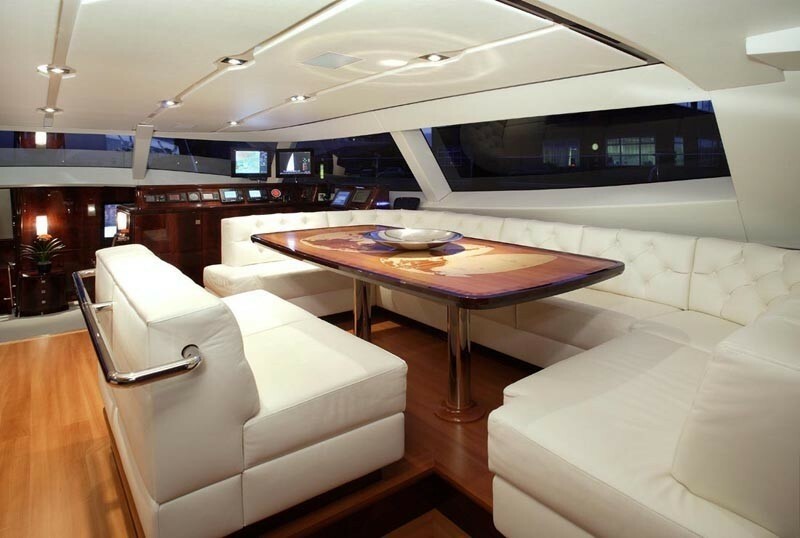 Her exterior is excellent for entertaining and alfresco dining as well as easy performance sailing. 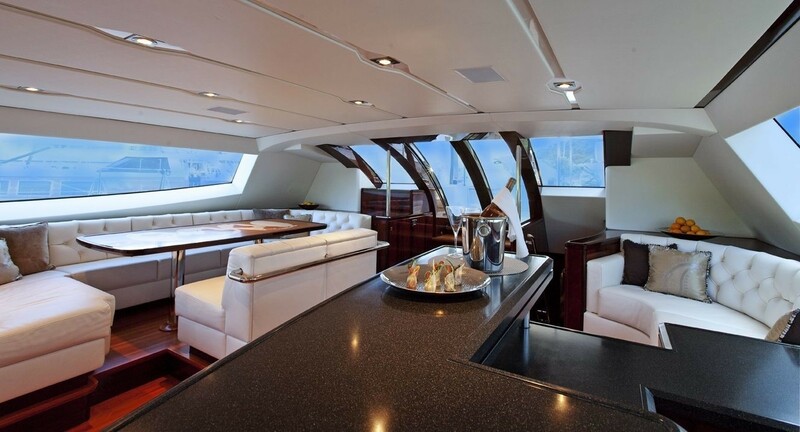 Her sheltered and roomy cockpit area gives a wonderfully protected outside space to stretch out and take in the passing views. 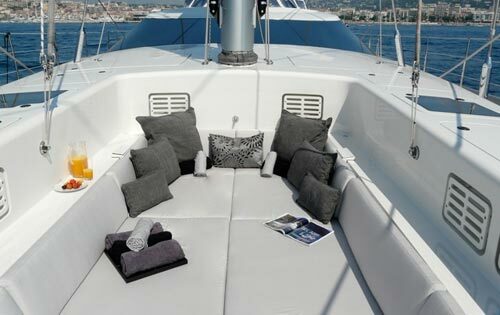 She has sunbathing loungers to aft as well as a snug tented forward seating area (pictured) for charter guests who love to survey the pending horizons in shade and comfort or relax whilst swinging languidly at anchor. 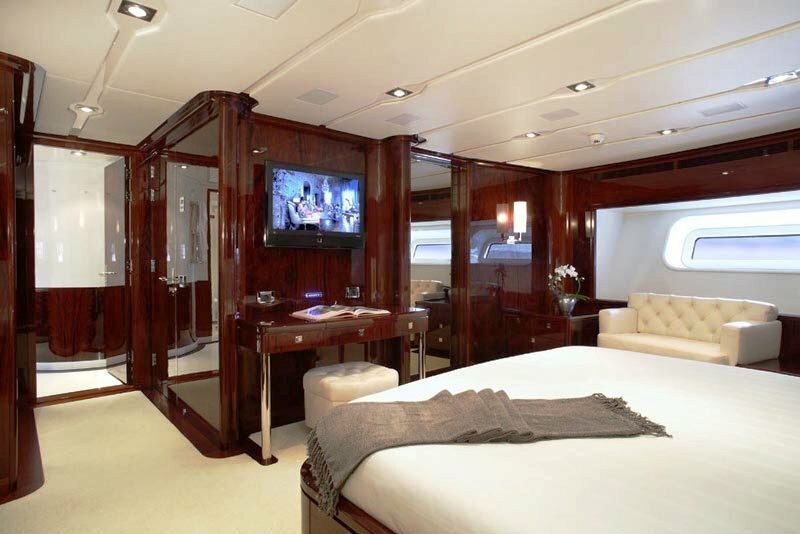 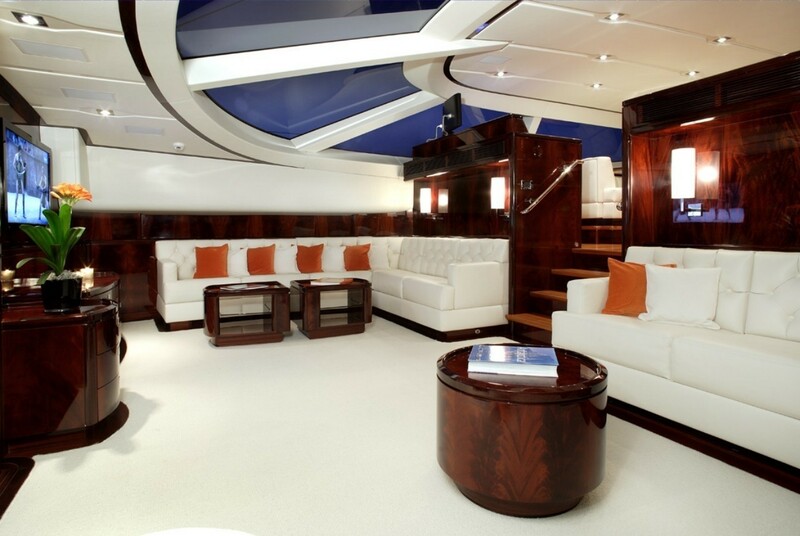 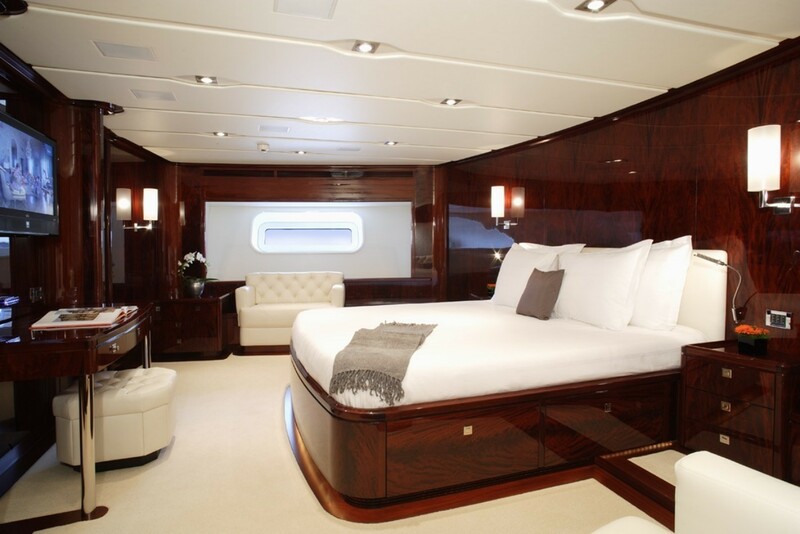 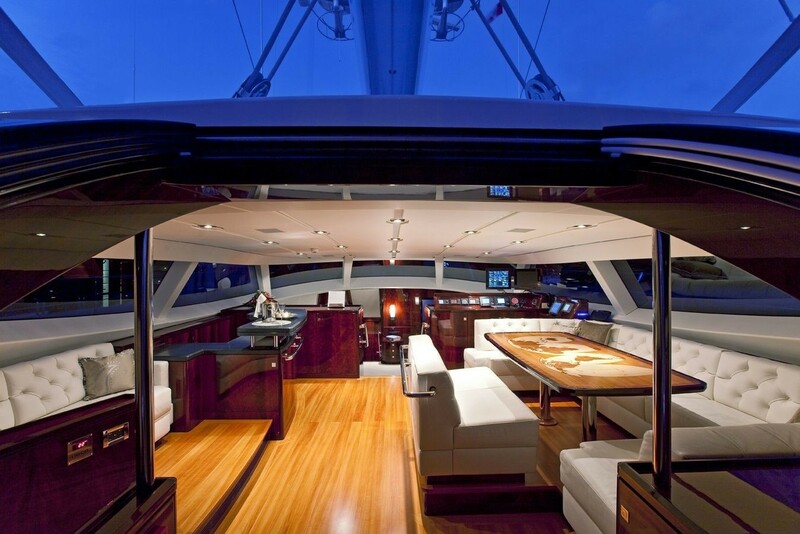 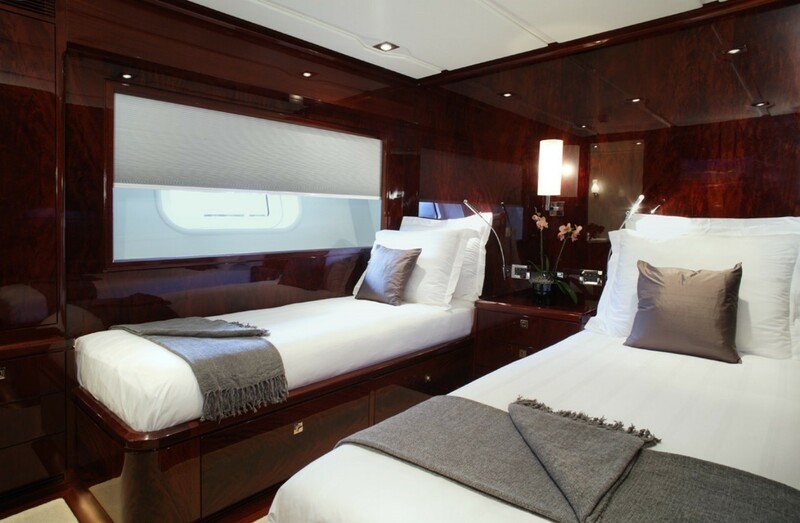 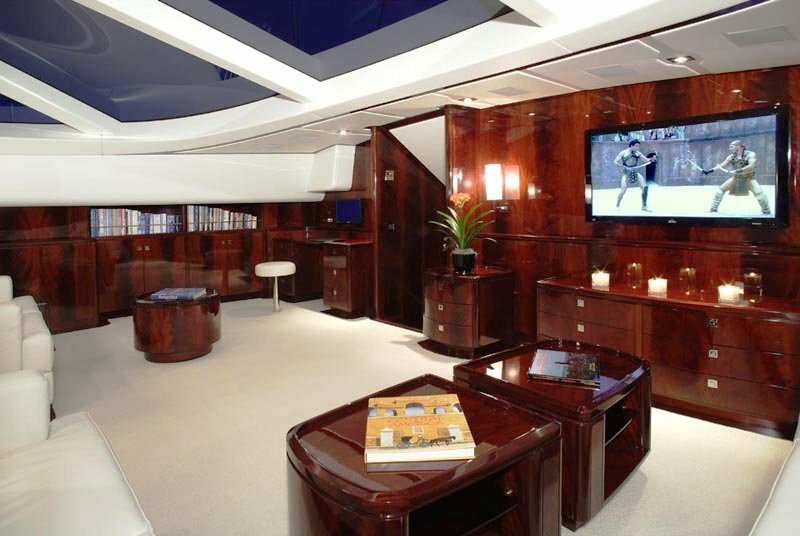 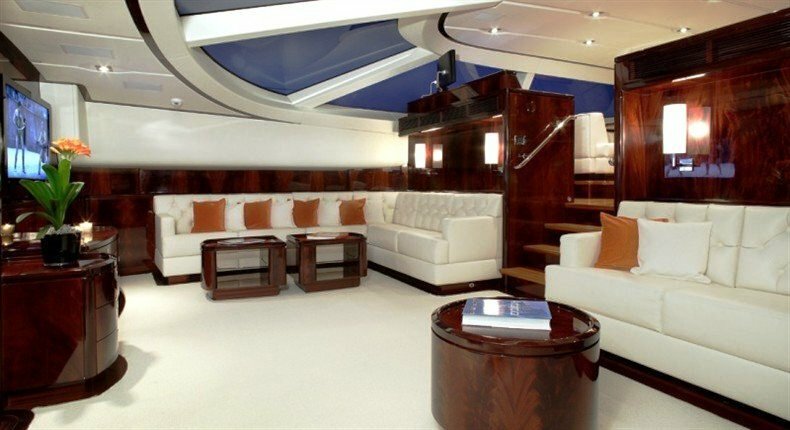 Superyacht VALQUEST’s interior is spacious and light filled as created by her split level saloons. 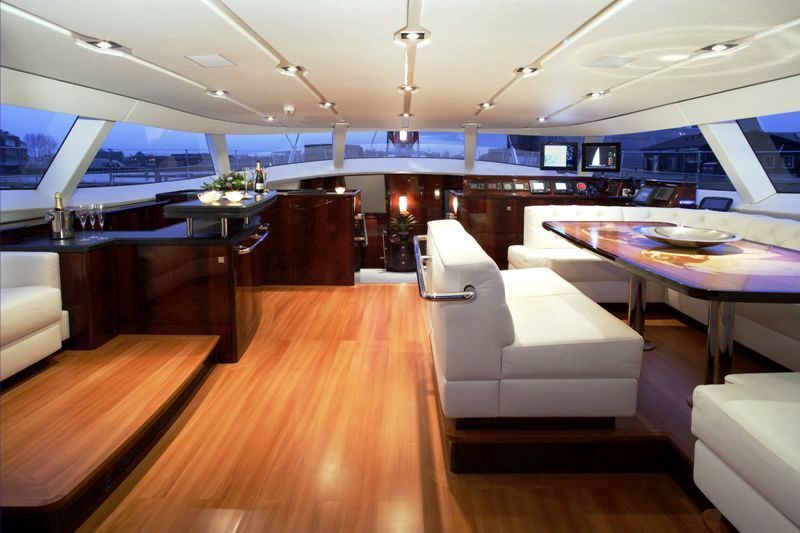 This interior layout gives a light and spacious area for dining and relaxation up in the deck saloon area which is on the same level and the aft cockpit. 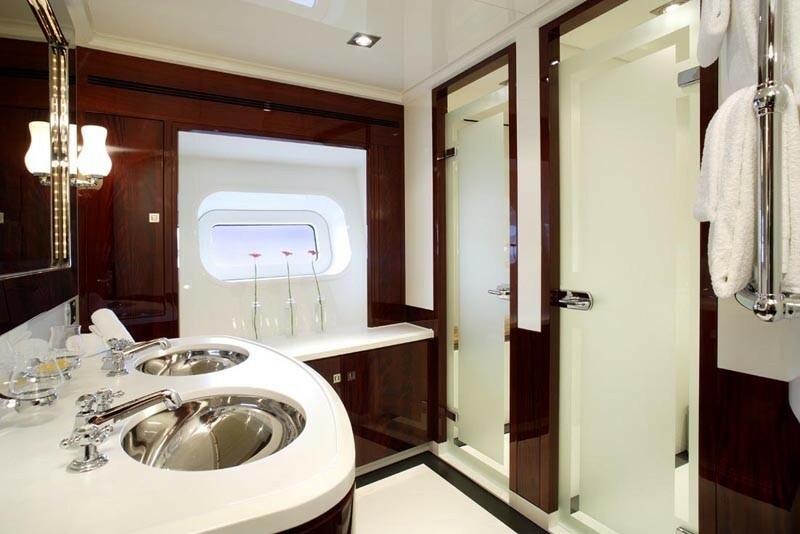 Also, the lower saloon space allows for a more intimate ambience below. 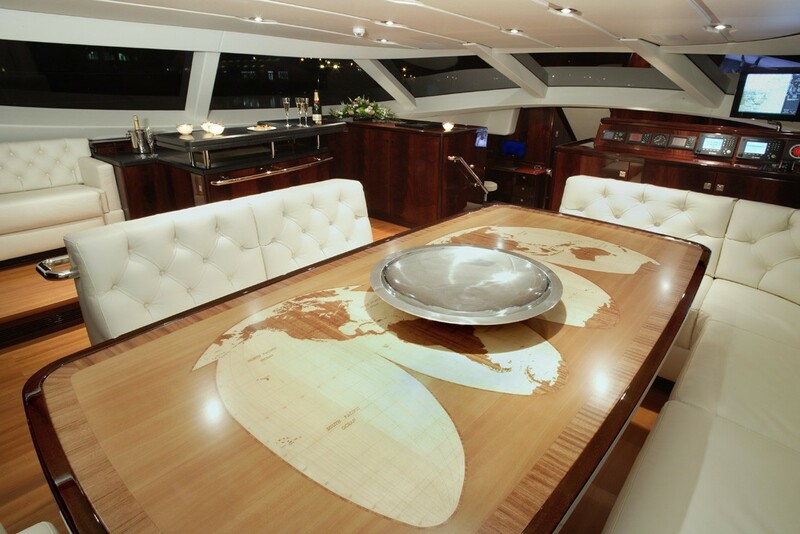 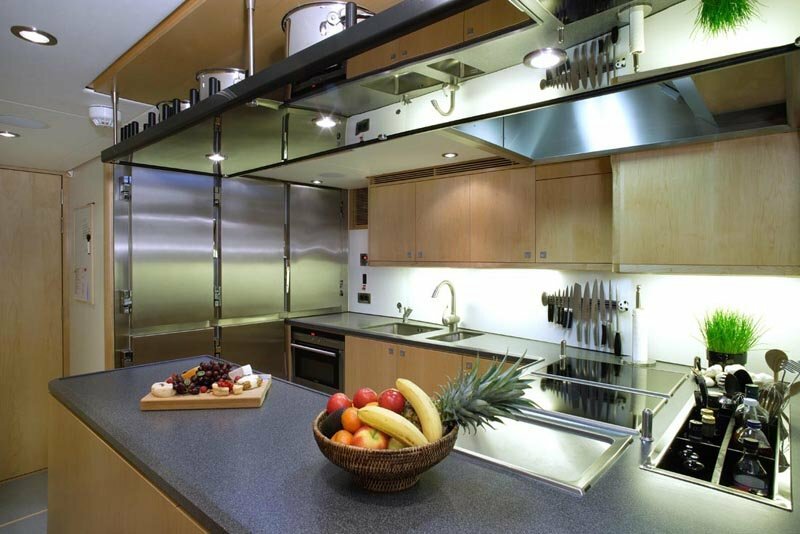 Dubois have been designing large sailing superyachts for some time and with considerable success. 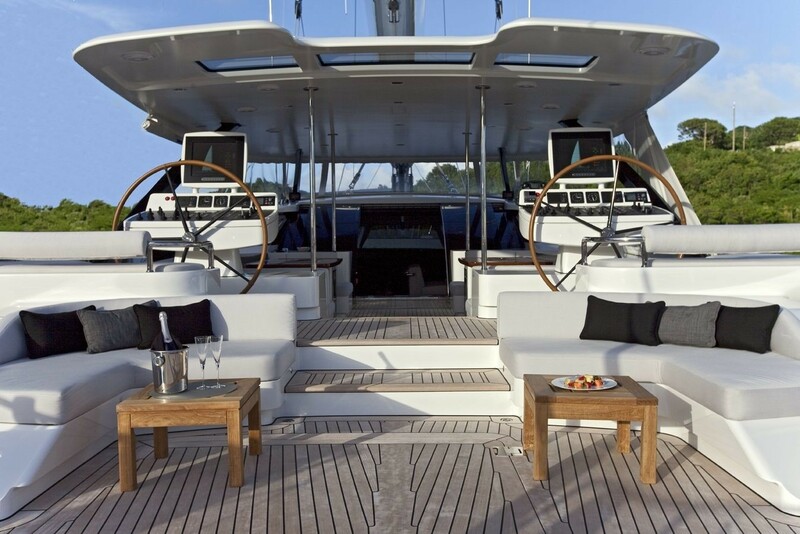 The Valquest yacht benefits from several leading Dubois superyachts in an evolution of modern yacht design. 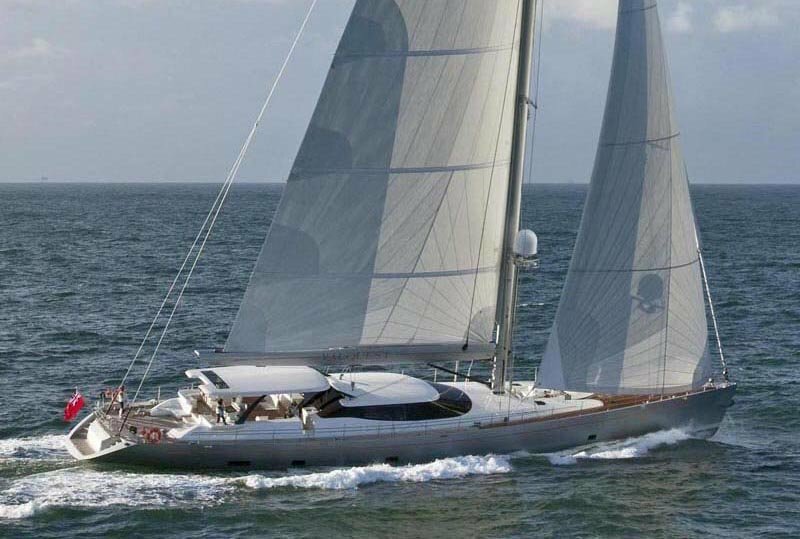 This sailing yacht has been custom designed by Dubois Naval Architects to perform pleasingly during long range cruising in safety and comfort. 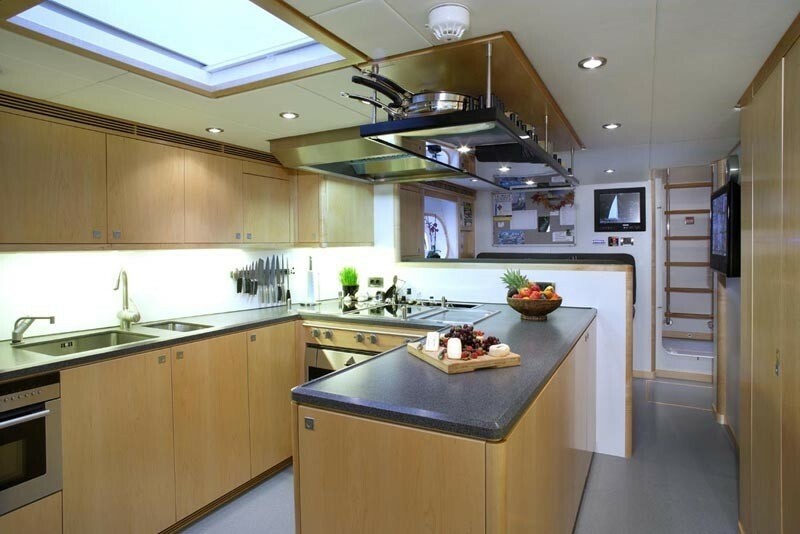 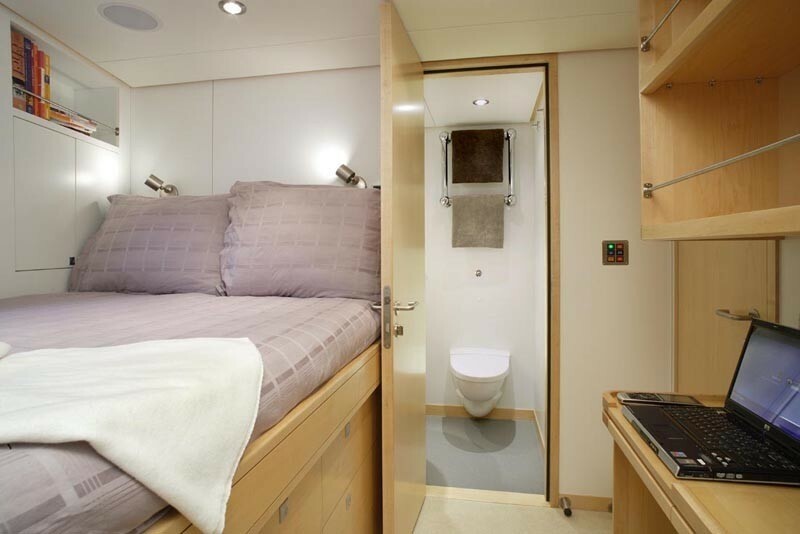 She has spacious storage compartments built in to her structure so that deck and social areas are left free of sailing equipment. 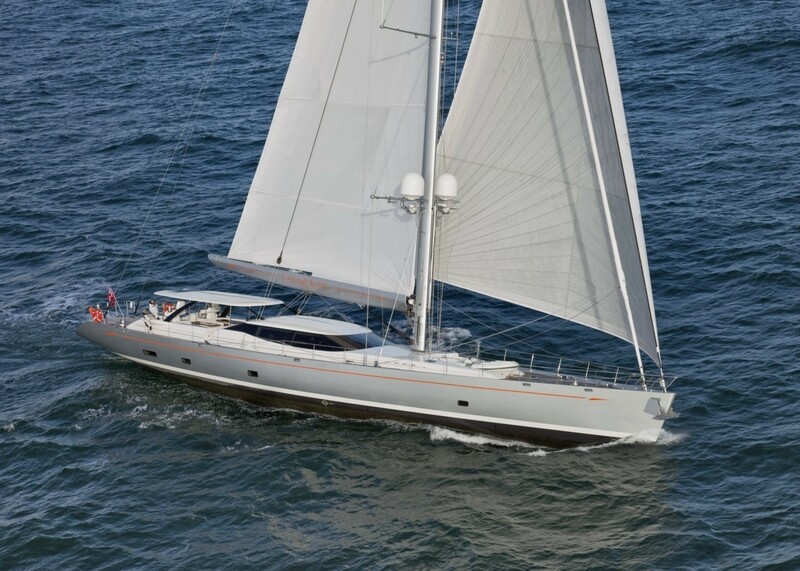 She is equipped with dual head stays, a roll-away boom with captive winches enabling all sail handling systems, and hydraulically operated running backstays. 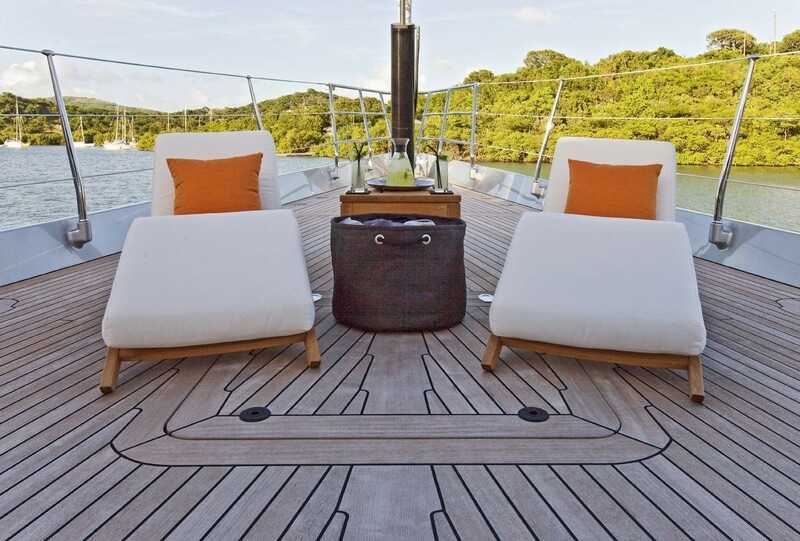 Twin-prow anchors on the bow enable the yacht to be anchored safely in all sorts of beautiful locations. 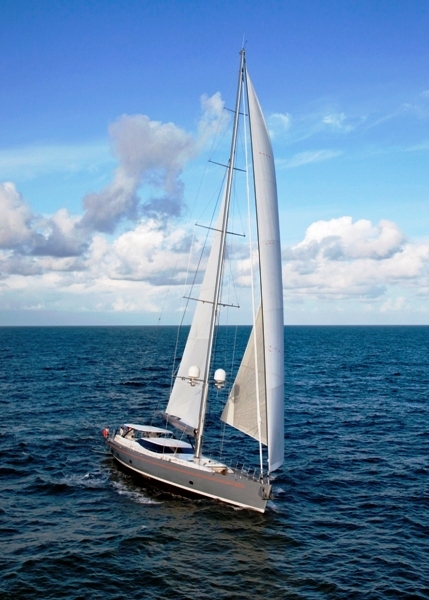 S/Y Valquest is able to accommodate a maximum of 8 charter guests on holiday. 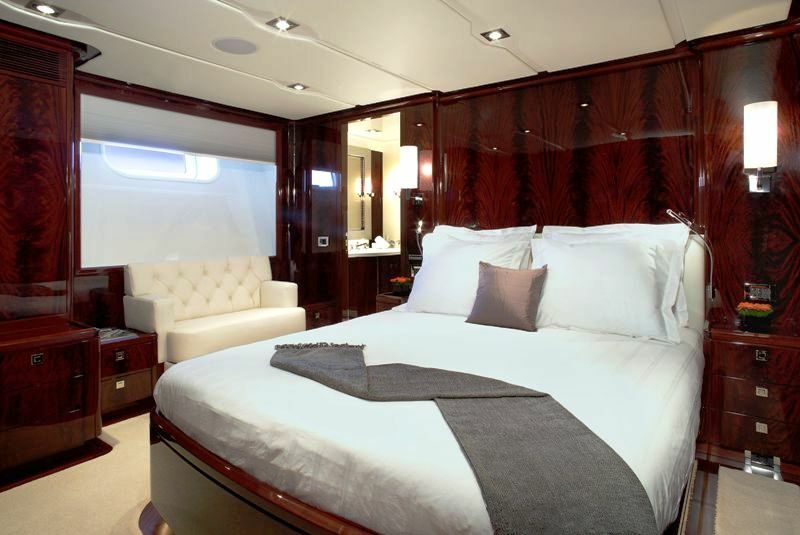 She has a layout featuring a spacious master stateroom in the aft and another three guest suites with individual ensuite bathrooms. 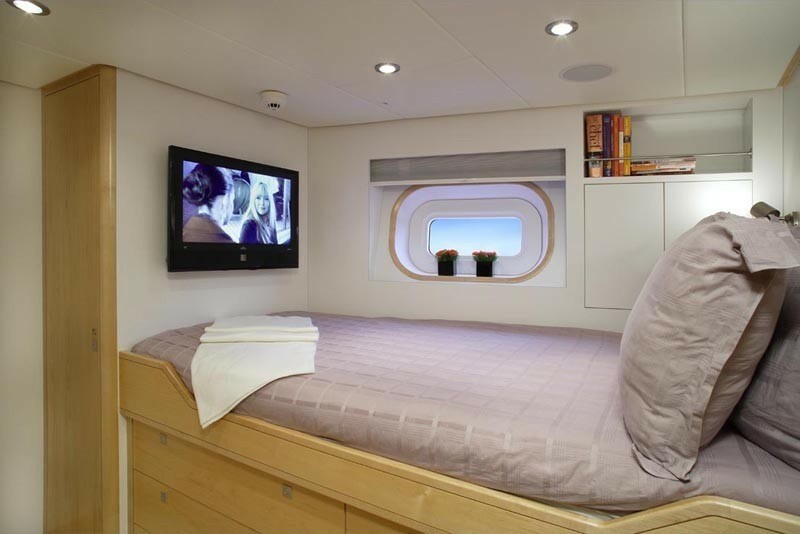 With three double cabins and one twin she has a 1 pullman bunk, one queen bed, two double bed and two single bed format. 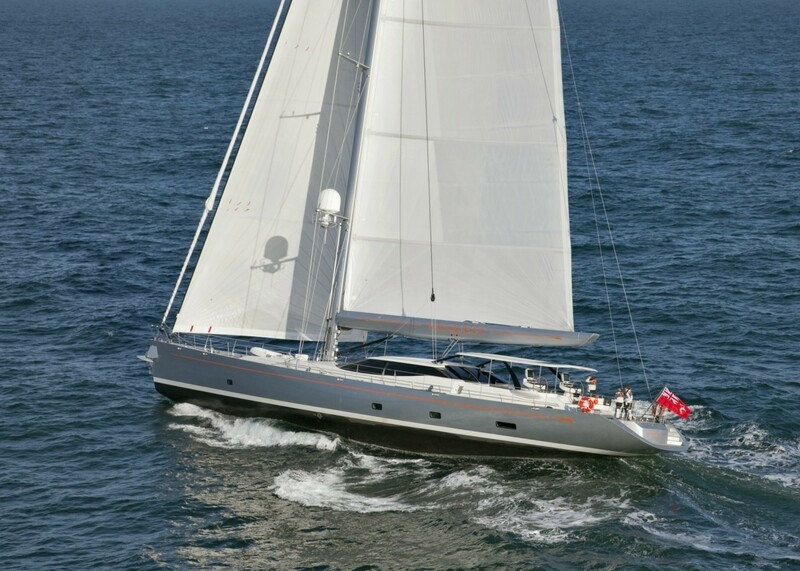 Valquest is a high performance sailing yacht built by Bloemsma & Van Breemen entirely in aluminium. 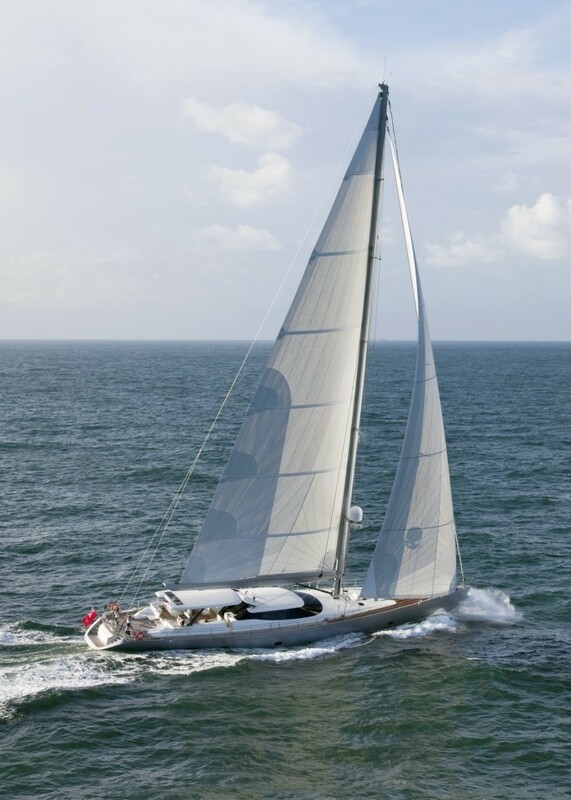 She is fitted with dual headstays giving sailing flexibility. Her roll-away boom and captive winches for all sail handling systems and hydraulically operated running backstays add to her ease of sailing. 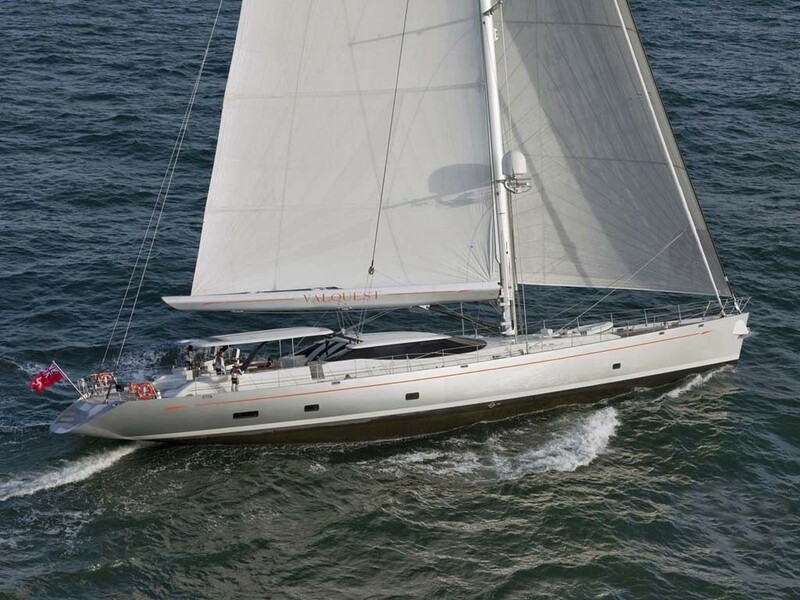 She has a relatively high beam of 8.9 metres, giving her a large volume and spaciousness and a draught of 4.15 metres. 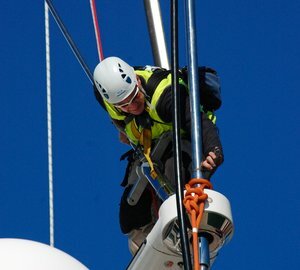 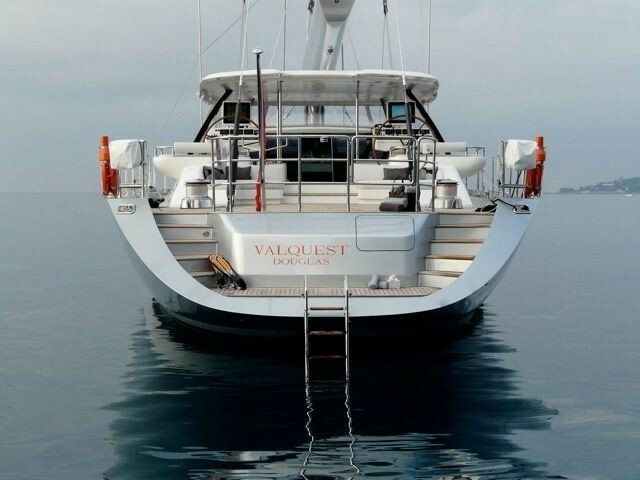 Valquest was constructed to both Lloyds Register classification and the MCA large yacht code. 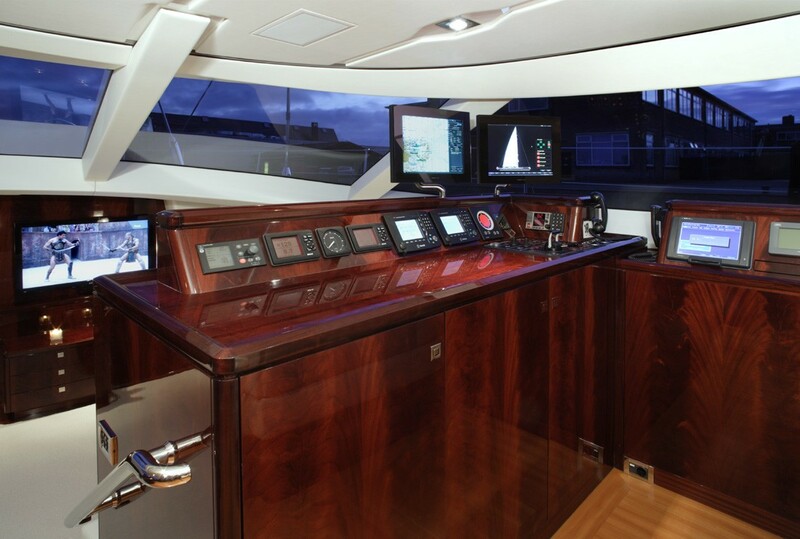 Her tenders are located on the foredeck and in the aft peak, as launched by a dedicated hydraulic crane housed in the deck locker. 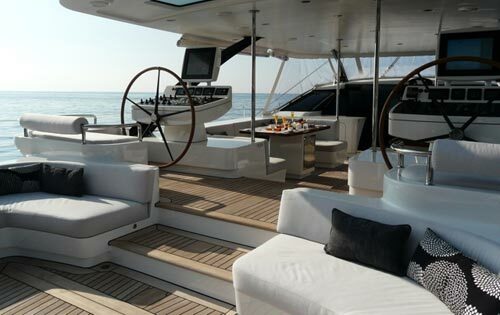 A young, vibrant and experienced professional crew of six, headed by Captain Tim Deane, ensures a first rate yacht charter experience aboard a magnificent sailing yacht.